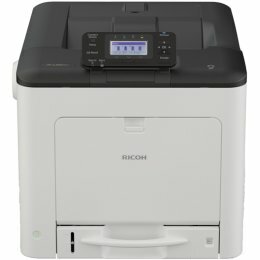 The Ricoh MP C3004ex Printer is a color multifunction printer that offers print, copy, scan and an optional fax option. With the MP C3004ex Color MFP, you can print on paper sizes up to 12" x 18" with vivid colors and sharper text at a fast speed of 30 pages per minute. Add optional paper trays to the Ricoh C3004ex Multifunction Printer to expand its paper capacity to 4700 sheets, enabling extended runs. The Ricoh MP C3504ex Laser Printer is a color multifunction printer that will perform everyday tasks with incredible speed and ease. 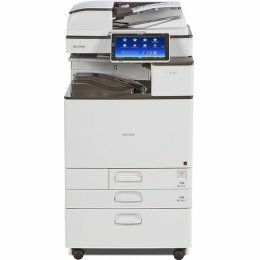 The Ricoh C3504ex MFP will produce colorful presentations, images, brochures and more at up to 35 pages per minute. With the Ricoh MP C3504ex Color Printer, you can print and share information on the go via your personal mobile device. 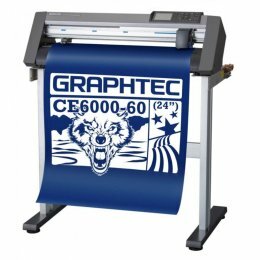 The Graphtec CE6000-60 Plotter gives you reliable quality and consistent performance. The Graphtec CE6000 60 Cutting Plotter features improved ARMS5.0 for high precision cutting as well as being intuitive and easy to use. Enjoy advanced features such as registration mark sensing and perforation cutting for producing a dividing line of labels or packaging mock-ups on the Graphtec CE6000-60 Cutter / Plotter. The Ricoh C2004ex Color Printer will copy, print, scan and has an optional fax. Delivering vivid color prints at a speed of 20 pages per minute, the Ricoh C2004ex MFP and will print on paper sizes up to 12 inches by 18 inches. 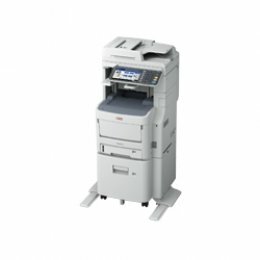 Enjoy auto duplex printing, easy mobile printing and impressive finishing options with the Ricoh C2004ex Laser Printer. 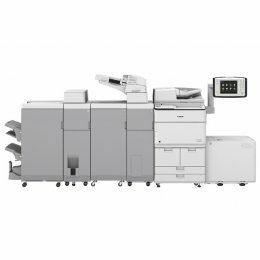 The Canon ImageRunner 4535i II Multifunction Copier will deliver reliable performance in a compact, space-saving design. 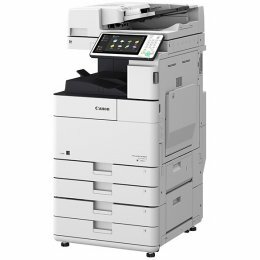 Offering print speeds of 35 ppm and scan speeds of 160 ipm, the Canon 4535i II Copier is an ideal choice for small to medium sized businesses. The ImageRunner 4535i II features a 10.1" intuitive touchscreen with smartphone-like usability for easy navigation. 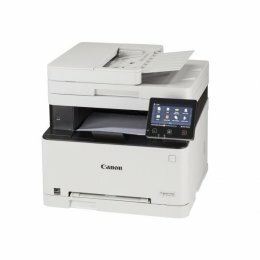 The Canon TX-4000 MFP Printer is a fantastic solution that allows you to copy, scan, archive and share your wide format media. The Canon IPF TX-4000 Multifunction provides a 44" integrated printer, a T36 Scanner and anAll-in-One HD Multi-Touch PC. Enjoy a 100-sheet stacker, real-time previews that can be easily edited, and a host of other opions on the Canon imagePROGRAF TX 4000 MFP T36 Wide Format Printer. The Canon ImageRunner 4525i II Copier features print, copy, scan and optional fax capabilities, all in one compact machine. The Canon 4525i II will deliver crisp black and white prints at a speed of 25 pages per minute. Enjoy direct mobile print, scan to PDF, advanced security features and low energy consumption with the ImageRunner 4525i II Copier. 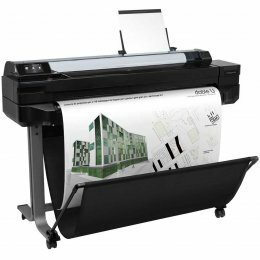 The HP DesignJet T520 is a compact large format printer for small offices. With a print resolution of up to 2400 dpi, the DesignJet T520 Printer will achieve accurate lines and sharp details in your designs, maps, photos, and presentations. The HP T520 Large Format Printer offers Wi-Fi connectivity for easy, convenient printing. The Canon ImageRunner 4551i is a cost-efficient multifunction copier that offers copy, print, scan and optional fax capabilities. 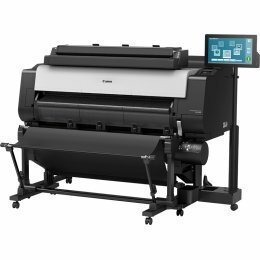 The ImageRunner 4551i Copier will deliver high quality black and white prints at a quick speed of 51 pages per minute. Take advantage of the optional finishing features, including staple-free stapling, traditional stapling and hole-punching, on the Canon 4551i Copier. The Ricoh C2504ex Color Printer is an all in one color printer that will copy, print, scan and has an optional fax. The Ricoh C2504ex MFP will produce vivid color prints at a speed of 25 pages per minute, with the first page out in just 7.5 seconds. Enjoy the 10.1 inch Smart Operation Panel to simplify your workflow with the Ricoh C2504ex Laser Printer. 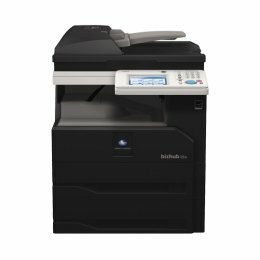 The Konica Bizhub 28e Copier is a monochrome, compact multifunction device that will easily print, copy, scan and distribute information. 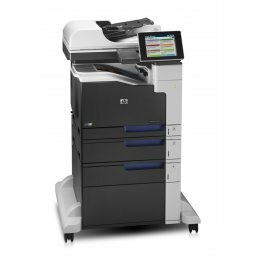 The Bizhub 28e features 28 pages per minute output, fast color scanning with duplexing auto document feeder, standard high speed fax, 2100 sheet maximum paper capacity and energy saving operation to help control your costs. The HP LaserJet Enterprise 700 MFP M775F is a multifunction printer that will deliver professional-quality color printing on a wide range of paper sizes up to A3. The HP M775F Printer features a large color touchscreen in which you can preview, edit, and digitally send documents at the device. Safeguard sensitive business information with the LaserJet M775F printer’s advanced security features. The HP LaserJet Enterprise M630H Printer will enhance workflow with its quick speeds and powerful performance. 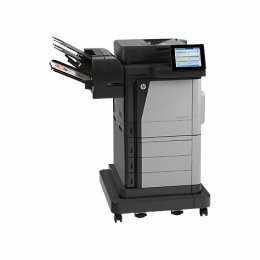 With its automatic document feeder and single-pass, dual-head scanning, the HP M630H MFP is able to complete jobs faster. Enjoy quick and easy mobile printing, advanced security features and optional wireless printing with the LaserJet M630H Printer. The Canon ImageRunner 8585i II Copier combines printing, copying, scanning and optional faxing in one powerful device. The Canon 8585i II will deliver high quality black and white prints at an unbelievable speed of 85 pages per minute. With its fast speeds, large 7,700 sheet maximum paper capacity, mobile solutions and finishing options, the ImageRunner 8585i II will increase productivity for your high-volume workplace. The Ricoh SP C360SFNw Printer is a budget-friendly desktop device that has print, scan, copy and fax capabilities. 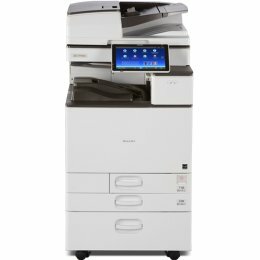 The Ricoh C360SFNw MFP will deliver brilliant quality color at a speed of 30 pages per minute and supports mobile printing so that you could conveniently print directly from your smart phone or tablet. With a high-quality 1200 x 1200 dpi resolution, the Ricoh SP-C360SFNw will produce professional-quality brochures, presentations and more. The Ricoh SP C360DNw Color Printer delivers high-quality 1200 x 1200 dpi resolution at a speed of 30 pages per minute. 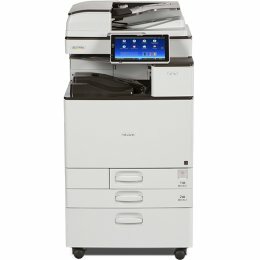 With its compact size and affordable cost per page, the Ricoh SP C360DNw Printer is a perfect choice for small offices. Enjoy flexible media, enhanced data security, and convenient printing from your smart device with the Ricoh SPC360DNw Printer. The ImageClass MF632Cdw Printer offers high quality printing, copying and scanning allowing you to accomplish all your necessary tasks with just one machine. 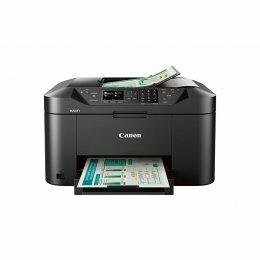 The Canon MF632Cdw Multifunction Printer delivers professional quality color documents at a speed of 19 pages per minute with the first page in your hands in just 12 seconds. Enjoy wireless connectivity, a range of easy to use mobile features and an intuitive 5-inch color touch LCD panel on the Canon ImageClass MF632Cdw Printer. 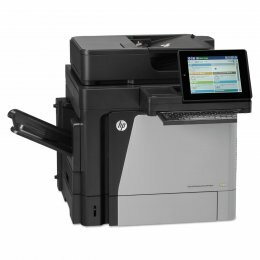 The HP LaserJet M680Z Printer is a high performance color multifunction printer that will print, copy, scan and fax. The HP M680Z Laser Printer will deliver high quality output in as fast as 45 pages per minute, with the first page out in just 10.5 seconds. With the LaserJet Enterprise M680Z Printer you can easily print from smartphones, tablets, and notebooks at work, home, or on the go. The HP LaserJet Enterprise Flow M630Z MFP is a powerful multifunction printer that will print, copy, scan and fax. With a print speed of 57 pages per minute and a standard capacity of 3100 sheets, the LaserJet M630Z Printer will easily tackle large jobs. 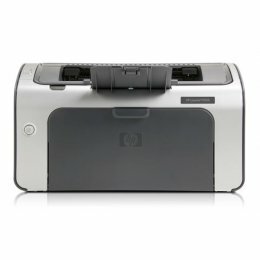 The HP M630Z Printer offers quick and easy mobile printing, advanced security features, a built in automatic duplexer and optional wireless printing. The Oki MPS5501b Printer is a fast and reliable monochrome printer, delivering crisp and clear output in as fast as 55 pages per minute. With a monthly duty cycle of 280,000 pages and a maximum paper capacity of 3,160 sheets, the Oki MPS5501b Monochrome Printer is a perfect choice for high-volume applications. Enjoy standard duplex printing, direct USB printing, cost effective performance and environment friendly features with the Okidata MPS5501b Monochrome Printer. The Canon Maxify MB2120 Printer is designed to meet the needs of home based businesses of 1-4 users. With the Maxify MB2120, you can print, copy and scan from your smartphone, tablet, computer or even the cloud. Delivering high-quality, low-cost prints in as fast as 19 pages per minute, the Canon MB2120 All-in-One Printer will get your work done quickly and efficiently. 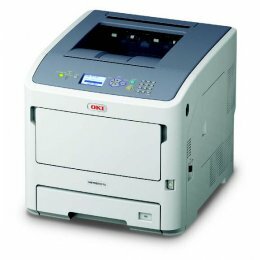 The Oki MPS4242mcfx+ Color Printer is a high speed multifunction printer that will print, copy, scan and fax. The Oki MPS4242 Printer will deliver high quality color prints in as fast as 42 pages per minute. With a maximum paper capacity of 3160 sheets and a 150,000 page monthly duty cycle, the Okidata MPS4242mcfx+ Multifunction Printer is a device you can rely on. 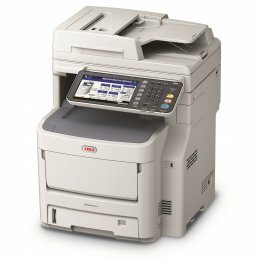 The Oki MPS4242mcf+ MFP combines copying, printing, scanning and fax in one reliable and efficient device. The Okidata MPS4242mcf+ Printer delivers vivid color prints in as fast as 42 pages per minute with the first page out in just 9 seconds. Featuring standard duplex printing, automatic collating, a 50 sheet in-line stapler and direct USB printing, the Oki MPS4242mcf+ MFP will enhance productivity for your workgroup. 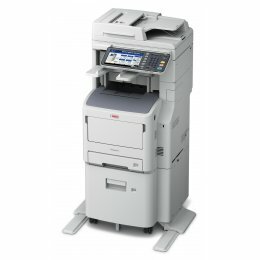 The Oki MPS4242mcf+ MFP combines copying, printing, scanning and fax in one reliable and efficient device. 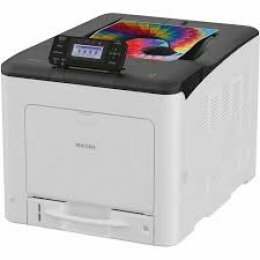 The Okidata MPS4242mcf+ Wireless Printer delivers vivid color prints in as fast as 42 pages per minute with the first page out in just 9 seconds. 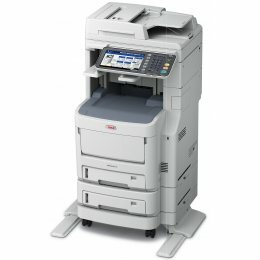 Featuring standard duplex printing, automatic collating, a 50 sheet in-line stapler and direct USB printing, the Oki MPS4242mcf+ MFP will enhance productivity for your workgroup.